On October 27 of 2018, YSU Ijevan Branch Student Scientific Society (SSS) organized university conference entitled “Ancient and Young Capital”. The conference was attended by Acting Director of YSU Ijevan Branch A. V. Tsutsulyan, deans of faculties, other members of administrative staff, lecturers, and students. Twelve students of the Faculties of Economics and Humanities took part in university conference entitled “Ancient and Young Capital”. 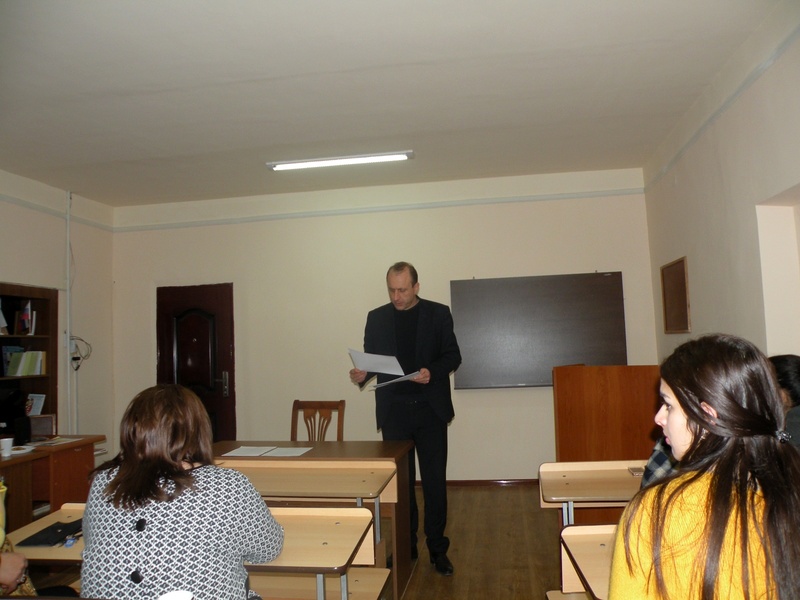 They delivered lectures on linguistics, economics, history and other spheres. First, a plenary session took place and Acting Director of YSU IB A.V. Tsutsulyan made an opening speech, greeting all attendees, the organizers and participants of the conference, expressing contentment to the Student Scientific Society for the initiative and expecting that such conferences would be organized more frequently, involving more participants. The conference continued in two Departments: History and Economics (5 speakers), Department of Philology and Social Studies (7 speakers). The university conference was in an engaging and warm atmosphere, and beneficial discussions were held between reporters, lecturers and students. The photos of the conference are available in the gallery.